No sooner did I get my table set up then my wife asked me if she could borrow for a day to do a work related project on. Of course I let her after all she is the World’s Greatest Wife and a gamer to boot. 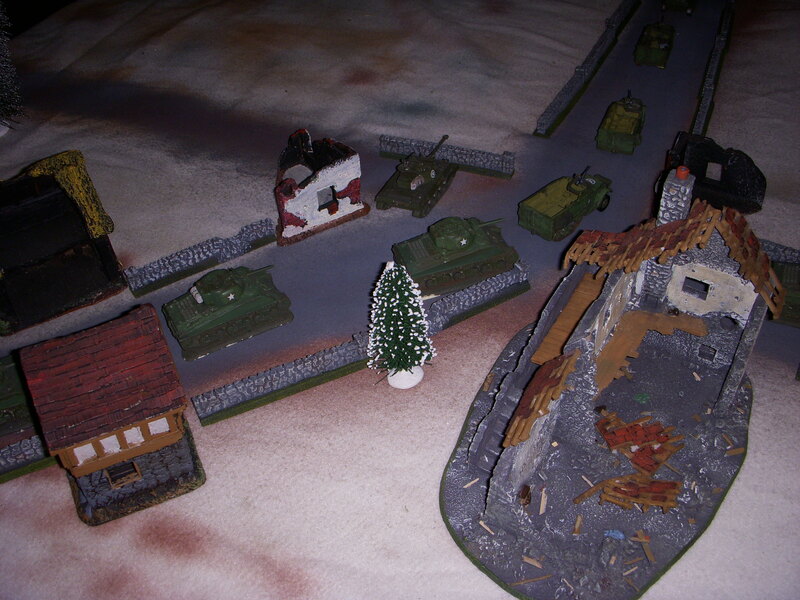 So, in the meantime I would like to show some of the miniature battlefields that I’ve laid out on the table while it was set up in the living room of my condo in Clearwater. The first one is set up to simulate a crossroads during winter. One of my favorite gaming periods is WWII. I especially like NW Europe 1944-45. 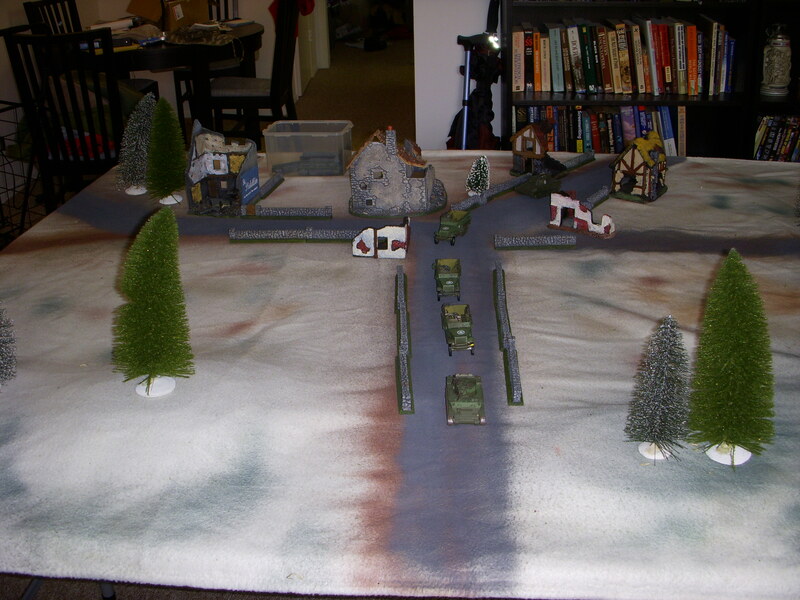 I’ve used this set up for games set during the Battle of the Bulge. This first view is a look at the cluster of buildings. I tried to emulate the layouts that I saw in the photographs of the actual campaign. This is a closer view of the ruined village. You can see some of the vehicles from my US collection. This is the view from the other end of the table. The Germans or whoever would have a long way to go. 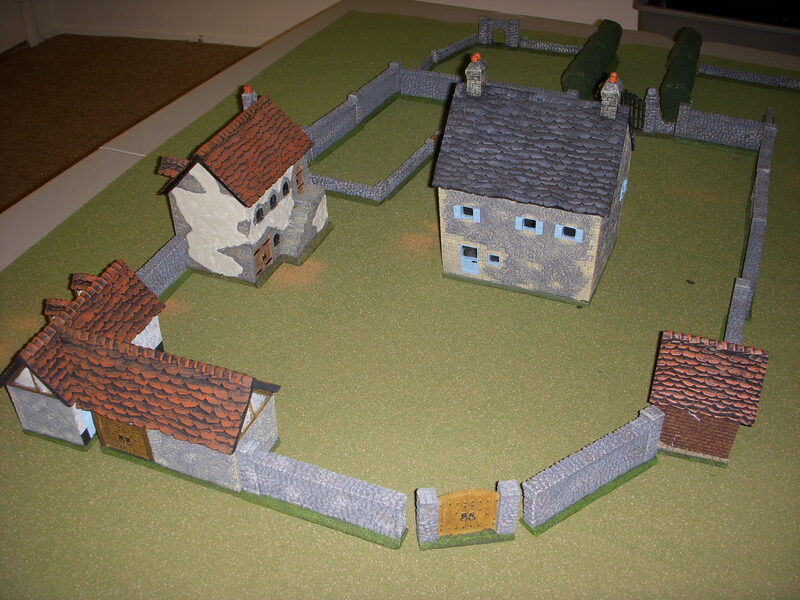 The beauty of this set up is that it can be used for a variety of battles from the Napoleonic Period all the way up to WWII. This next one is a walled estate. It took me close to a year to get all of the terrain pieces but in the end I think it was worth it. 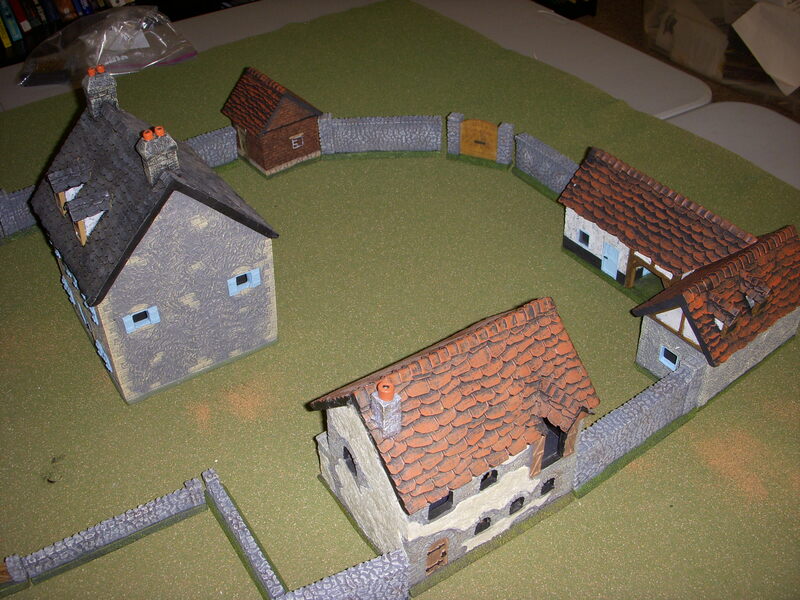 All of the buildings and accessories are from the Miniature Building Authority. It can be used for multiple periods as well. Well, that’s it for now. 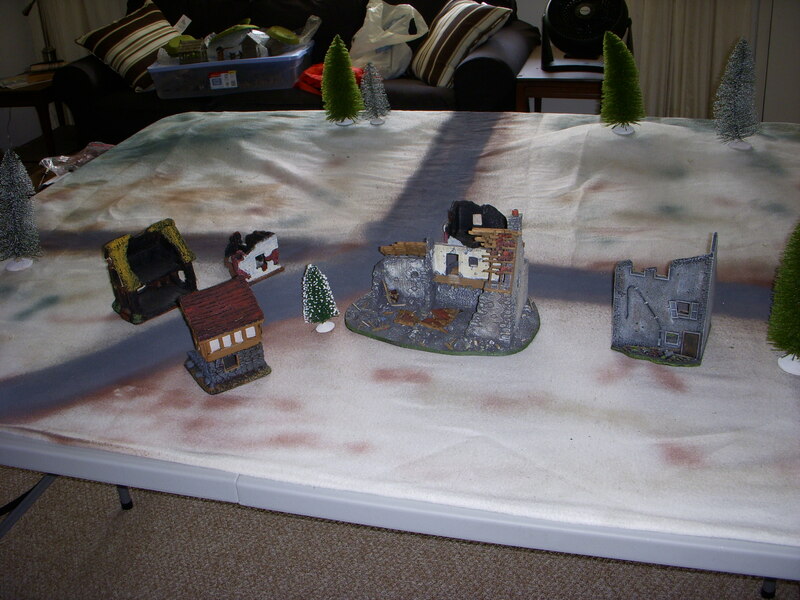 Next time, I’ll be using the table to show how I set up a Civil War battlefield.